The latest ABS Census shows that Australian apartment occupation has increased by 78 percent over the past 25 years, along with a steady increase in the occupation of townhouses and duplexes. 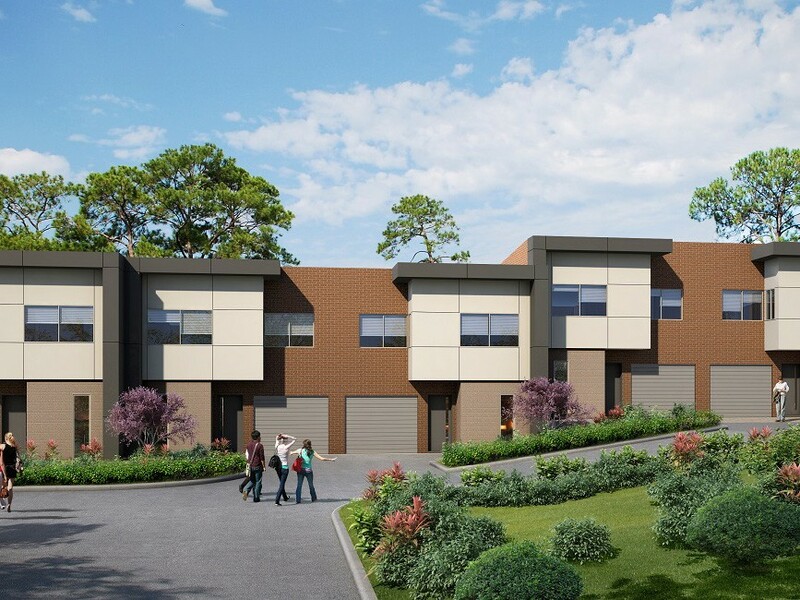 In line with this trend, approximately one quarter of Australia’s residential new-builds are now multi-residential. The trend towards more compact and affordable living spaces has forced architects to challenge stereotypes that multi-residential buildings are small and cramped, lacking natural light and ventilation. In fact, many of today’s new builds prioritise a luxury feel. Architects are taking advantage of natural lighting to create bright and airy spaces, while implementing open-plan layouts that are practical, versatile and make the most of available space. Environmental sustainability is also increasingly becoming a concern, encouraging architects to think of creative and practical solutions to reduce the carbon footprint of their buildings. However, this has proved challenging in the Australian multi-residential landscape. While residential photovoltaic (PV) penetration has reached up to 40 percent for detached houses in some parts of the nation, multi-residential buildings continue to lag behind due to issues with cost, governance and physical limitations. The lack of governance structures in place is perhaps the biggest barrier to solar uptake in Australian apartment buildings. The benefits are clear: the installation of PV on apartment buildings can help relieve network congestion as well as reduce household energy bills. However, there are significant ‘split incentive’ issues between property owners and their tenants. “Owners of rental properties are less likely to invest in energy efficiency measures than owner-occupiers, as the benefits are enjoyed by their tenants,” writes UNSW researcher Mike Roberts in his paper PV in Australian Apartment Buildings – Opportunities and Barriers. Sustainability retrofits can also be hampered by physical limitations. According to Roberts, a shortage of roof space compared to total energy demand can be an issue for high-rise buildings, while competition for roof space can be an issue in all multi-residential building types. Other issues include the fact that the installation of PV on flat roofs (commonly found on apartment buildings) may compromise the roof’s water-tightness, and the height of apartment buildings may necessitate a crane for installation, increasing costs. Apartment blocks also tend to be clustered, causing potential issues with shading. Effective ventilation is needed in buildings to remove heat, control moisture and encourage the flow of fresh air. This feature is lacking in many older residential buildings, particularly apartments and townhouses. The design of these buildings can limit air flow to one side of the building, compromising the amount and quality of air flow. The standard roof-mounted ventilation that is often used in detached houses will not be nearly as effective in multi-residential applications. The full version of this article will be available in the January-February issue of Infolink | BPN.